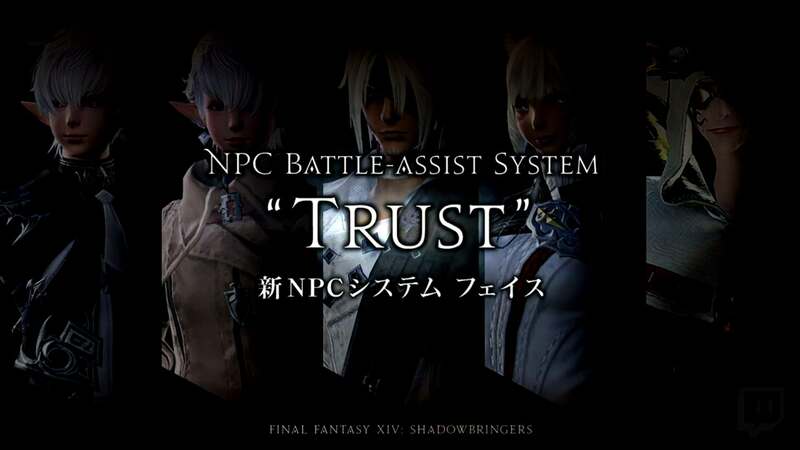 like the title says, has the game turn into so perfectionist from last time i play final fantasy? Oki so i dont throw on EVERY single casts in my rotations on EVERY mobs and bosses i encounter with my blm example of blizzard 4 and sometimes thunder 3 i just skip but i do cast time to times but still i can hold a good game i feel by results knowing the mechs in a duty and finish the job. I was told being rude for say it was intense run and then they said i wasnt deserved to play at all for not holding to roations asked and pointed to another player i should follow on. I dont bother how ppl can be jerks sometimes sayin all kinds of stuffs for things isnt satisfying them, you know yourself what you do able and can and what you are so nothing can be personal to heart if you not soft ofcs. But generally i must say it hurt to listen many times same respons see that the game has changed so much from last time, does this makes me bad/good player for not always following the parsing roation even if i do best dmg of my team? Last edited by Ssmiley_Bjakkzz; 04-17-2019 at 10:28 PM. If you were pulling aggro from the Tank then the Tank wasn't doing to thier job ignore and move on those types arent worth the effort it takes to even get mad at. See now when I hear people say something like this the first thing that usually comes to mind is can this player actually manage their aggro. Doing a lot of damage that you take aggro from the tank is not an achievement (granted the tank should be doing their fair share of things), as if you are pulling aggro then you are forcing everyone else in the party to adapt unnecessarily, that's why we have actions such as Lucid Dreaming and Diversion, so be sure you are using these. does this makes me bad/good player for not always following the parsing roation even if i do best dmg of my team? This is up to you, no one is perfect and as long as you play the job as well as you can, do mechs and are not detrimental to the party, it shouldn't matter what other players think. If they offer you some advice on how to get a little better then that's cool, but don't feel you have to parse a particular way. This is up to you, no one is perfect. I know and im defently not perfect, and sad if i accident hurt others feelings when i play how i want, it just bit by bit kills my gameplay thinking everyone focused on this. So i dont use specified spells for lower the aggro instead break my own rotation using less attacks for just hold the pase not overrun the duty... but that doesnt makes me less of a player even if i do most dmg from all my members, i focus for not take aggro at least. Last edited by Ssmiley_Bjakkzz; 04-17-2019 at 10:42 PM. I have to ask something regarding this OP - did you use Diversion? If you used Diversion (or Lucid Dreaming) to manage your enmity, then it's not your fault you pulled from the tank. He could have had poor gear or a poor rotation himself. However, if you were not managing your enmity, then you are the one at fault for ripping off of him. Always try to manage your enmity, because it makes your job easier, your tank's job easier, and your healer's job easier. This is a common misconception. Just to clear things up: high aggro does not necessarily equate to high damage. Conversely, low aggro does not necessarily equate to low damage. Last edited by HyoMinPark; 04-17-2019 at 10:44 PM. No i didnt and dont use or used..., and thank you for telling that, im srry if ive been bad player ill start use these. Last edited by Ssmiley_Bjakkzz; 04-17-2019 at 10:56 PM. Definitely start to use them. They’re important skills, and it makes everything easier. If you learn to incorporate them into your rotation, that’s the exact opposite of being a bad player. Receiving advice constructively is the opposite of being a bad player. Those things make a person a good player. I will reply to messages whenever I am not busy studying, sleeping, or raiding. ^^ If I do not respond quickly, then I’m sorry, but I am quite busy sometimes! 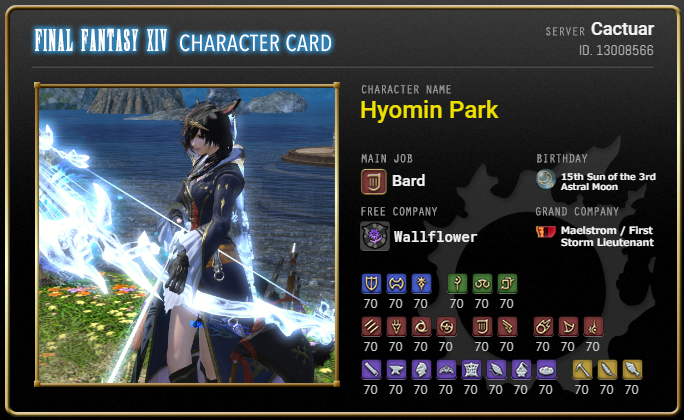 Signature was made using: http://ff14card.tank.jp ; Credits to the creator!